Recently, I acquired a repainted Nishiki frameset, which I believe to be a Cervino. Does anybody have any pics of a Cervino with the original decals? Thxs. I just rebuilt my Cervino I acquired frame only in 84. The previous owner stripped the decals sans the Cervino on the TT and "Made in Italy" on the chain stay. Take a look at the following for an original. Through some research and corroboration with others it was designed by Colnago who was bing imported by West Coast Cycle(WCC) Nishiki and built byy Olmo. If you want more detailed info let me know. Thxs, but you've responded to a 14 year old zombie thread. I've long since found the answers. This is why it's a travesty that the thread started date has been removed in one of the many updates. A travesty I tell ya! In order to keep this thread alive, whatever happened to the frame T-Mar? I keep bugging the forum tech staff about it. So far to no avail. is not the thread start date on the upper left above the OP. This thread was started 07-17-05, 11:03 AM as far as my screen is concerned. Yes, but it is no longer visible in a forum or search index. I thought I had some pictures but have been searching on and off for the past week without luck. Given that it was 2005, they may be on some old 3.5" floppy diskettes that I was using due to the small hard drive on my late 1990s PC. Unfortunately, they aren't supported by my current PC (no 3.5" drives anymore)! It looks like the pics are long gone, along with the frame. So much for the advantages of going paperless! Last edited by T-Mar; 03-27-19 at 09:32 AM. It is quite impressive. One of the most famous mountains in the alps. More than 500 people have died trying to climb it. I've been there a few times, and it's one of the nicer places I've skied. 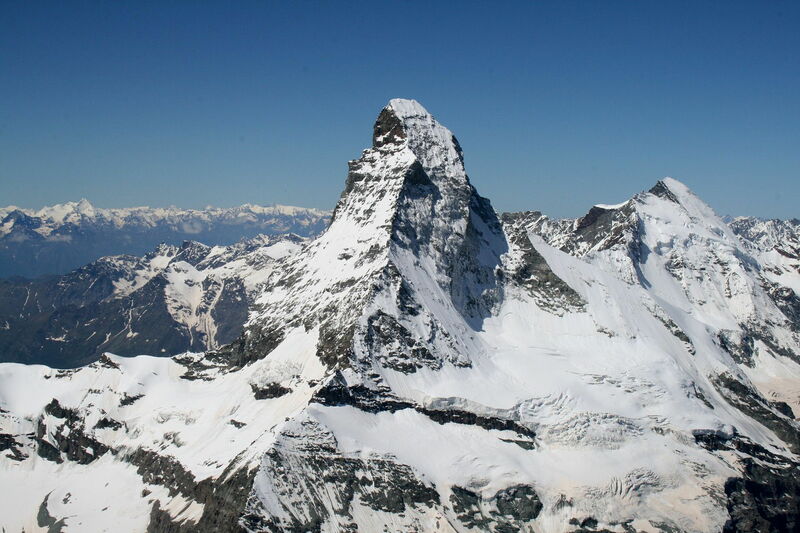 On one side you can ski down into Switzerland (Zermatt), the other side into Italy (Breuil-Cervinia).